Vern O’Byrne began his notable career playing U19 football in Launceston, representing the northern region, and then Hobart. After marrying and completing national service, O’Byrne debuted for Cornwall (later renamed East Launceston) in the NTFA in 1954, but after a dispute the TFL stood him down for the balance of the year after ruling that he was tied to Sandy Bay. In the following eight years Vern O’Byrne played for Sandy Bay, Glenorchy and a number of amateur, community and country clubs, including representing the Channel Association. O’Byrne began his 50 year umpiring career in 1963 with the TFLUA to maintain his involvement in football while staying injury free for work reasons. O’Byrne was a highly regarded senior umpire in the Tasmanian Football League and officiated in finals in the NTFA, NWFU, Huon and Amateur leagues as per the exchange arrangements that were in place during that era. After a decade at the highest level of umpiring with the TFLUA, O’Byrne entered the hotel industry as a manager and owner and became heavily involved in social sport and all levels of community, country and school football as an umpire. Through the 1970s Vern O’Byrne also coached the Claremont and University football clubs and a number of social teams in southern Tasmania. The 1980 season saw a move to Mackay in Queensland for two years and a role as umpires’ adviser and inaugural Umpire Association President, having helped form the local umpiring body. Upon returning to Tasmania O’Byrne spent 15 years umpiring in southern Tasmania and then, from 1998 to 2013, he committed to umpiring junior footballers in the Northern Tasmanian Junior Football Association (NTJFA) and also developing aspiring umpires. As an umpire O’Byrne supported the North Launceston, Launceston, Deloraine, South Launceston and Prospect Junior football clubs at various times. The measure of his ability was his regular appointment to the NTJFA U12 grand final right into his 70s. During this period O’Byrne also continued his mid-week commitment to primary school football, umpiring and developing young aspiring umpires. 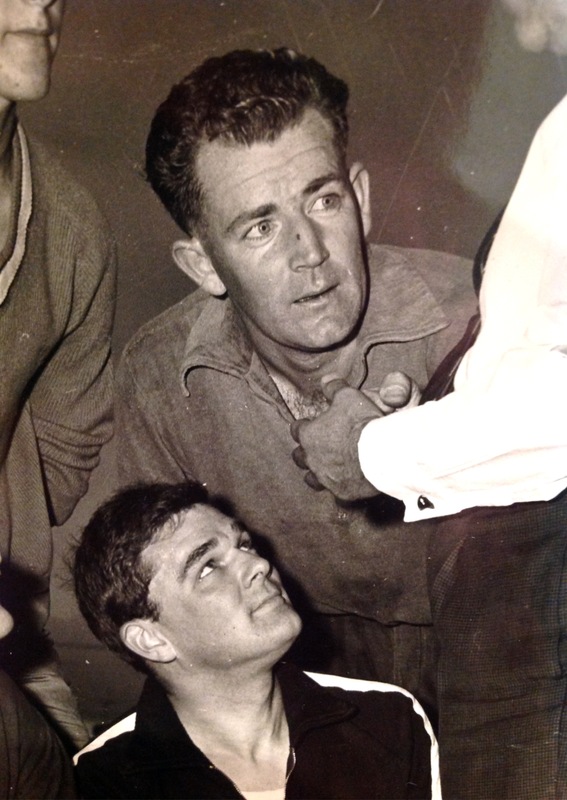 One of O’Byrne’s key umpire development initiatives was the ‘Golden Whistle Award’, developed for the South Launceston senior players to undertake junior football umpiring. The Award was well received by senior players at the Bulldogs and junior players and parents also. O’Byrne enjoyed many seasons umpiring alongside his children and grandchildren and had the opportunity to team with them on occasion. While O’Byrne has umpired all the great footballers of the 1960s, 70s and 80s—including many who have been duly recognised as the very best in Tasmanian football—he has also, through his decades long commitment to umpiring junior and school football, personified the umpires’ dictum that “the game you are umpiring in is the most important for the players on any given day”. O’Byrne certainly prized and respected each of the more than 2000 games that he has umpired. Vern O’Byrne’s contribution to Tasmanian football is long and significant and his umpiring has always been highly competent and conducted with a presentation and demeanour that readily earned the respect of players, coaches, administrators and supporters alike.